For those who have a passion for fish and fishing, there is a wide range of options for careers within this specific field. First, you’ll have to decide how much time you want to put in before starting to work. You will be able to get a certain range of jobs with little training or experience, but some jobs will require training, education and experience. There are many ways you can educate yourself, but it might be a good idea if you start to compare training courses online and use that as a basis before you make a decision. Of course you’ll also have the chance to go all the way and do a master’s or bachelor’s degree in topics related to fishing, aquaculture and their management but you could do very well with even a shorter qualification. There are also lower level jobs available, and these include positions as crew on fishing boats, staff at aquaculture plants, as well as jobs in fish processing. Some of these jobs will require some experience, or possibly require you to build up your experience within your chosen company. For these jobs you’ll have options pretty much all over the world, although it might be easiest to find jobs in countries for which you can easily get a work permit and visa. 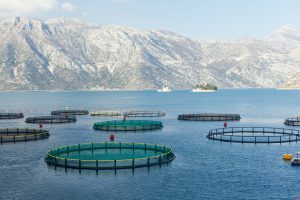 As far as exploring each country for job opportunities, you can start by locating major fisheries and aquaculture businesses, as the popular areas often house more than one company of this type, giving you a larger range of possible options. 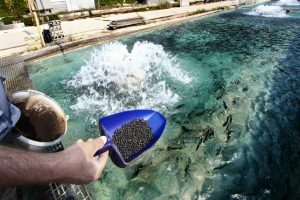 No doubt engaging in any of these types of occupations will mean a contribution to feeding the world, as we do rely heavily on protein harvested from the oceans and fresh water sources on the planet. This is also one of the reasons why highly skilled individuals with the right qualifications and degrees are becoming more sought after as part of developing and expanding an already booming and important industry.